Carl Blazer of NASA’s Glenn Research Center in Cleveland talks to airshow attendees about the center’s work. 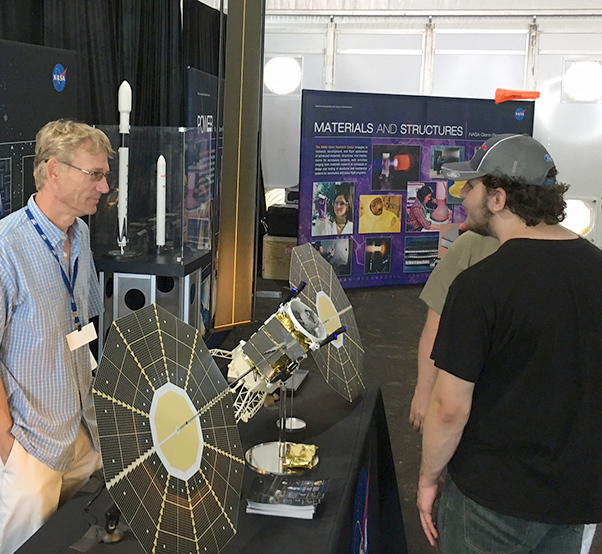 NASA showcased work from across the agency at the Experimental Aircraft Association’s AirVenture 2016 event at the Wittman Regional Airport in Oshkosh, Wisc. AirVenture is considered one of aviation’s marque events and attracted 563,000 visitors. 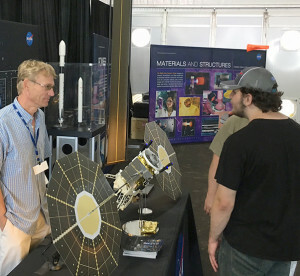 NASA’s aeronautics work was highlighted, as was the agency’s Earth science research, space exploration, technology and a banner honoring Glenn Research Center in Cleveland’s 75th Anniversary. Attendees were able to learn about NASA’s work to transform aviation, including the NASA Aeronautics Research Mission Directorate’s New Aviation Horizons initiative to build and fly a series of X-planes over the next 10 years. In fact, an Italian-built Tecnam aircraft like the one that will be modified into the X-57 electric propulsion aircraft was on display. The Tecnam slated for modification into the experimental aircraft recently arrived in California. The X-plane marks a milestone in NASA’s goal of developing and validating technologies that will make aviation more efficient, quieter and more environmentally friendly. NASA Armstrong Flight Research Center in California’s principal investigator for the X-57, Sean Clarke, and Langley Research Center in Virginia’s X-57 principal investigator, Mark Moore, spoke at a news conference and conducted media interviews during the event. Kristen Erickson of NASA Headquarters in Washington, D.C.. explains part of a NASA exhibit. Also of interest to attendees was the work toward supersonic travel that could one day bring the world a little closer. Tom Jones, NASA Commercial Space Technology associate project manager based at Armstrong, explained the agency’s approach. A sonic boom simulation lab at Langley, shaped sonic boom research in restricted airspace at Armstrong and data collection with a proposed supersonic demonstrator called the Quiet Supersonic Technology (QueSST) are the key elements, Jones said. The strategy could provide the information needed to make recommendations to the Federal Aviation Administration for amending a prohibition in place since the 1970s on overland supersonic travel. If the strength of sonic booms can be reduced and broken up so the sound isn’t noticeable by people on the ground, it is possible the rules could be changed, he explained. The QueSST is under design through a NASA contract with Lockheed Martin. The design includes a 94.2-foot long, piloted aircraft with a single engine. The concept includes many commercially available systems to reduce costs of the potential future X-plane that could greatly reduce the sound of current supersonic travel. Research planes can be platforms for science. Pilot Paul Newton, who flies the Stratospheric Observatory for Infrared Astronomy (SOFIA), highlighted what it’s like to suit up for a research mission and was also available for autographs. SOFIA contains the largest airborne infrared telescope in the world and can peer into the universe since it flies above most of the vapor in Earth’s atmosphere that obscures infrared astronomy from the ground. SOFIA program is managed by NASA Ames Research Center in California and NASA Armstrong manages the platform. Pilot Jim Less and flight test engineer Tom Jones delivered the NASA F/A-18 research aircraft from Armstrong for display at the event. 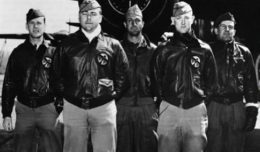 Less and Jones discussed the uses and missions of the aircraft. 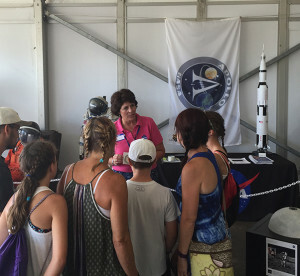 The airshow also featured exhibits on air traffic management for drones, and models of important aircraft from NASA’s predecessor — the National Advisory Council for Aeronautics, or NACA – through designs for aircraft in the 2030s and beyond. For those looking for the latest on NASA’s space work, presentations and displays explained it. A moon rock acquired from the Apollo 17 mission was on display being one of only six available samples worldwide that can be touched. Other exhibits focused on the International Space Station, the Space Launch System and the Orion spacecraft that is expected to one day to take humans to Mars. At an event featuring the latest in aeronautics, NASA representatives presented a look at what future aircraft could be and what they will be capable of doing.